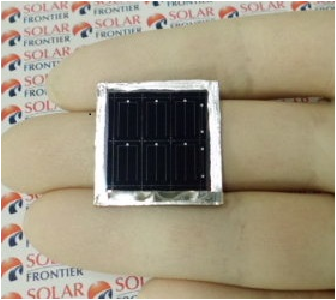 A new record for thin film solar cell efficiency of 22.3% has been achieved by solar frontier the world's largest cis solar energy provider .In joint research with the New Energy and Industrial Technology Development Organization (NEDO) of Japan, Solar Frontier achieved 22.3% conversion efficiency on a 0.5cm² cell using its CIS technology. This is an increase of 0.6 percentage points over the industry’s previous thin-film record of 21.7%. The Fraunhofer Institute, Europe’s largest organization for applied research, has independently verified this result.